In a country so deeply shattered by nearly three decades of civil war, the work of our organisation is particularly challenging. As part of our SOS Children’s Village programmes we also run SOS Emergency Relief Programmes to support the country’s poorest population segments. The Republic of Angola is a country in south-central Africa. It is bordered by Namibia to the south, the Democratic Republic of Congo to the north and Zambia to the east. Angola’s capital city is Luanda, which lies on the Atlantic coast. The country's total population is now 19 million. In the early 15th century, the Portuguese first landed in present-day Angola. Portugal’s main interest in Angola soon became slavery. During Portuguese colonisation, thousands of Angolan slaves were transferred to the sugar plantations of São Tomé, Principe and Brazil. By the 19th century, Angola represented one of the main sources of slaves for Brazil and the Americas, including the United States. Angola declared its independence from Portugal in 1962. However, the guerrilla war against the Portuguese did not end until 1974 when the regime in Lisbon was overthrown in a military coup. Power in Angola was handed over to three major independent movements from ideologically different backgrounds. Angola saw 27 years of civil war, which formally ended in 2002. Throughout the war, around 1.5 million people died and four million people were displaced. Today, the Angolan economy is one of the fastest growing in the entire world. An economic boom period has recently turned the country into the best economic performer in Sub-Saharan Africa. Angolan society is still trying hard to tackle the social, physical and political scars that the war left behind. Although the country has seen impressive economic growth rates since the end of the war, only a small number of Angolans are seeing the benefits of this upswing. Life expectancy at birth is only 48 years and a shocking 30 per cent of Angolans remain illiterate. The low level of human development in Angola is very much at odds with the country’s potential for economic growth. Angola is very rich in natural resources, particularly in oil and diamonds, which together account for around 60 per cent of the country’s GDP. Angola is one of Africa’s leading oil producers. However, while the vast majority of Angolans remain poor, it is mostly the elites who benefit from the country’s growing GDP. In one part of Luanda modern buildings mark the townscape, while in the “musseques”, as the shantytowns are called, people live in shacks. They lack food, clean drinking water and decent sanitation systems. The distribution of wealth in Angola is highly unequal. Only nine per cent of Luanda’s population have access to running water. Overall, 77 per cent of Angolans live in poverty, many of them in extremely harsh conditions. HIV/AIDS is a persistent health problem in Angola: an estimated 200,000 Angolans are living with HIV, 22,000 of them are children younger than 14 years of age. HIV/AIDS is particularly manifest in the southernmost province of Cunene, where nearly ten per cent of the population are HIV-positive. Like in many other African nations, people who have contracted the disease often face societal stigmatisation and neglect. The infant mortality rate in Angola is among the highest in the world: out of 1,000 children born in Angola, 220 die before they reach the age of five. Only 20 per cent of all births in Angola are assisted by qualified medical personnel. Preventable and easily treatable diseases continue to claim thousands of lives each and every year. Apart from HIV/AIDS, malaria, measles and respiratory infections inflict a heavy toll on the lives of young Angolan children. Furthermore, millions of landmines that are still hidden in unmarked areas are a frequent cause of accidents. An estimated 80,000 Angolans have been physically or psychologically affected by landmines. 44 per cent of the country’s population are chronically undernourished. Many families, particularly in rural semi-arid areas, are struggling to put food on the table for their children. Consequently, one in three Angolan children under five years of age is malnourished. 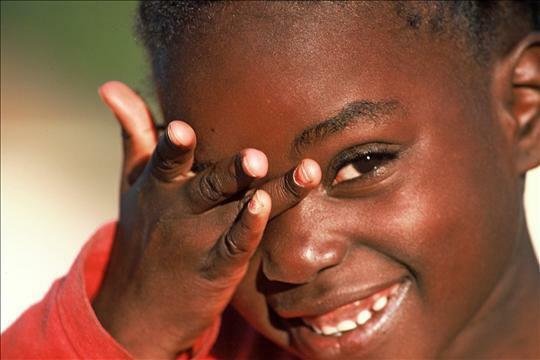 Around 140,000 children in Angola have been orphaned due to AIDS. 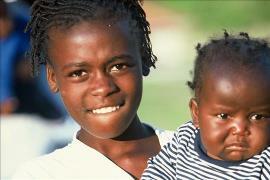 The total number of orphans in Angola is as high as 1,500,000. During the civil war, an estimated 700,000 children lost either one or both their parents. 100,000 children were separated from their families as a result of the war. It is not uncommon in Angola for children to be abused, abandoned or even killed for imagined acts of witchcraft. Thousands of Angolan children roam the streets of Luanda and other major cities. Some have been banished from their homes, while others have lost their parents in the war or because of AIDS. The war in Angola has left thousands of children in the country without parental care. In this country, the need for social welfare facilities targeting refugee children and orphans is particularly great. The work of SOS Children’s Villages in Angola dates back to 1986 when the Angolan government and our organisation held the first official talks. In 1994, our first fully-fledged programme in Angola was started. At present SOS Children’s Villages is supporting Angolan children, young people and families in three different locations by providing day-care, education, vocational training and medical services. Children who can no longer live with their families are cared for by SOS mothers in SOS families.